Once a small farming community, Wilsonville is now a fast-growing city of about 23,740. It has a diverse economy strengthened by leading firms in the high-tech industry and numerous warehousing and distribution facilities, including Xerox, Mentor Graphics, Flir Systems, Sysco, Orepac, and many others. Wilsonville is not only an economic engine for the region, but it is also a carefully planned city, with high-development standards, that draws residents, families, and businesses seeking an attractive, environmentally sensitive community. Wilsonville schools are top-notch. They have an outstanding library; an award winning fareless transit system; a state-of the art water treatment plant; and they’ve invested millions into their parks and trails system. 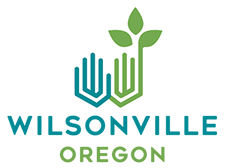 Wilsonville has won state and national awards in planning, urban forestry, wastewater and water management, finance, and transit while doubling our population, tripling our employment and adding thousands of new homes and millions of square feet in industrial and commercial space. Wilsonville is fortunate to have a devoted citizenry and a committed business community. The hard work, discipline, and expertise contributed by those on their boards and commissions, and numerous other committees and task forces help focus their vision to build a better community.